New Orleans Soul 1967-Record Store Day Edition. By early 1967, New Orleans’ vibrant music industry was thriving, and one of the one the Crescent City’s smallest labels Parlo Records, was celebrating the success of Aaron Neville’s million selling soul ballad Tell It Like It Is. It was released on November the ‘9th’ 1966, and by early 1967 had topped the US R&B charts and reached number two in the US Billboard 100. What made the success of Tell It Like It Is all the more satisfying was that the single had been distributed by a local company Dover, which had been founded and was run by one of the leading lights of the New Orleans’ music industry Cosimo Matassa. His company distributed most of the music that was released in New Orleans during 1967, including the sixteen songs on New Orleans Soul 1967 which was recently released for Record Store Day on the History Of Soul label. However, Dover’s owner Cosimo Matassa was more than the owner of the Big Easy’s leading record distributor, he’s regarded by many as the architect of the New Orleans sound. Originally, though, Cosimo Matassa had no intention of embarking upon a career in the music industry, and had enrolled at Tulane University in 1944 where he started studying towards a degree in chemistry. However, after five semesters eighteen year old Cosimo Matassa decided left university in 1945, and opened the J&M Recording Studio at the back of his family’s shop, which was situated on Rampart Street, in the French Quarter of New Orleans. For the next ten years, Cosimo Matassa learnt his craft and established a reputation as an engineer at the J&M Recording Studio. However, by 1955 he had outgrown his first studio, and moved to the Cosimo Recording Studio on Gov. Nichols Street, which was still situated within the French Quarter. This was the start of a new chapter for Cosimo Matassa. Soon, some hugely important and influential records were being recorded at the Cosimo Recording Studio, including Fats Domino’s The Fat Man which is regarded as one of the first rock ’n’ roll records, and Little Richard’s million selling number one Tutti Frutti. Over the next few years, Ray Charles, Lee Dorsey, Smiley Lewis, Bobby Mitchell, Tommy Ridgley, The Spiders and Dr John all made their way to the Cosimo Recording Studio where engineer Cosimo Matassa worked with a number of the city’s leading producers, including Dave Bartholomew and Allen Toussaint. They formed a successful partnership, although it’s Cosimo Matassa that is credited as the architect of the New Orleans sound. At the Cosimo Recording Studio, Cosimo Matassa’s preferred sound took shake and it featured strong drums with the guitar, bass band piano having heavy sound while the horns played a lighter, less prominent role in the arrangement. When it came to the vocal, Cosimo Matassa’s preference was for a strong, prominent vocal. Gradually, Cosimo Matassa honed and perfected what became known as the New Orleans sound during the fifties and sixties. Meanwhile, Cosimo Matassa wasn’t content to own his own recording studio and work as an engineer, he was keen to expand his musical empire and in the late-fifties and sixties managed one of the Big Easy’s most successful rock ’n’ roll singers, Jimmy Clanton. Cosimo Matassa also founded and ran the distributor Dover, which by 1967 distributed most of the music being released in New Orleans. This was an accident waiting to happen. However, with the Crescent City basking in the glow of Aaron Neville’s million selling single Tell It Like It Is everything in the garden was rosy…for the time being. During 1967, Southern Soul’s star was in the ascendancy, and was growing in popularity across America. Still, formulaic hits were still being churned out in the Motown studios in Detroit, which was still being billed as The Sound of Young America. However, in New Orleans where the music scene was vibrant, artists released a refreshingly eclectic selection of music. This included jazz, R&B, blues, Caribbean music and the soul music that features on New Orleans Soul 1967. There’s a total of sixteen songs on New Orleans Soul 1967, which featured contributions from familiar faces and what will be new names to many people. There’s contributions from Carlies Allen, Aaron Neville, Al Reed, Charles Mann, Johnny Adams, Guitar Ray, Tammy McKnight, The Barons and Curtis Johnson. 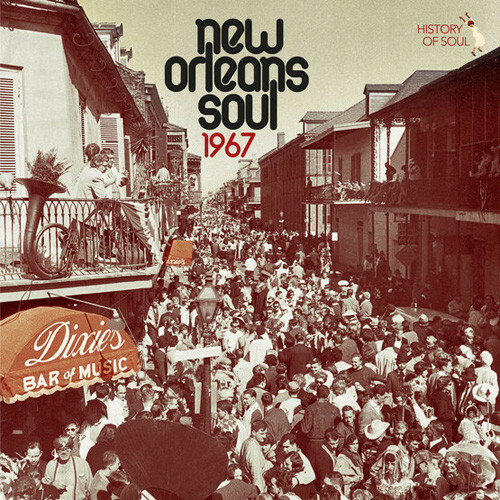 The sixteen tracks are snapshot of the soulful sounds being released in New Orleans during 1967. Opening New Orleans Soul 1967 is Carlies Allen You Better Know What You’re Doing, which was the B-Side of Tears Won’t Bring Your Love Back which was released on the New Orleans’ based Trend label. This hugging slice of funky soul is a real rarity and is further proof that Trend only released quality music. Bassist George Davis and saxophonist Red Tyler released the irresistible uptempo dancefloor friendly instrumental Hold On, Help Is On The Way as a single on the Parlo label in January 1967. It’s the type of track that would find favour in on UK Northern Soul scene. Sammy King wrote Ain’t That Satisfaction which was the third and final single that he released on the short-lived New Orleans based Marathon label. It’s an uptempo song that is tantalising reminder of the Big Easy’s oft-overlooked and underrated soul men. 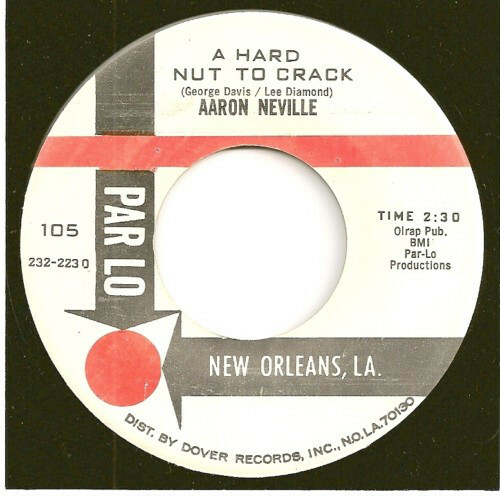 When Aaron Neville released Hard Nut To Crack as a single in 1967, he was still trying to replicate his million selling single Tell It Like It Is. Hard Nut To Crack was penned by George Davis, Lee Diamond, and was an uptempo, melodic and soulful dancer where the hooks hadn’t been spared. Despite that, Hard Nut To Crack failed to trouble the charts and was a missed opportunity for the man known as The Voice in New Orleans. By 1967, Al Reed who was a veteran of the Crescent City’s music scene, and had founded his own record label Axe which would release his singles. 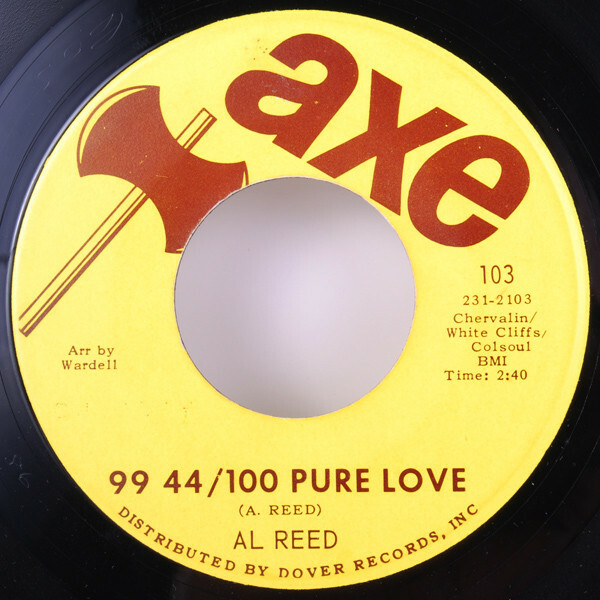 This included released 99.44% Pure Love which was penned by Al Reed is a swaggering slice of melodic funk. Many people remember Charles Mann for his 1973 album Say You Love Me Too, which was released on ABC Records. Before that, Charles Mann was signed to the Lanor label, where his career began in 1966. The fourth single Charles Mann released for Lanor was I’m Too Far Gone which was released in December 1967. I’m Too Far Gone was recorded by Bobby Bland, and two years later Charles Mann decided to cover the song. His version features a soul-baring vocal and is a beautiful version of this familiar song. In 1967, Beverly Brown released Don’t Make Me Wait as a single on another of New Orleans’ independent record labels, ABS. Tucked away on the B-Side of this Camille Incardona production You Got Me Helpless. It’s an uptempo dancefloor filler and features the New Orleans sound. Tony Owens released I Got Soul as single on the Soul Sound label in April 1967. It was written, arranged and produced by Isaac Bolden and features a heartfelt, emotive vocal from Tony Owens on this stunning ballad. It’s the perfect way to close side one of New Orleans Soul 1967. Johnny Adams was a familiar face in New Orleans music scene when he released Got To Get Back To You on the Watch label in 1967. He had released his debut single eight years earlier in 1959, but still had only one minor hit single to his name. Got To Get Back To You followed in footsteps of previous singles, and failed to find an audience. Those who flipped over to the B-Side discovered the Time and Time Again which features a vocal masterclass from Johnny Adams as he lays bare his soul. Senator Jones who was born in New Orleans, started off as a soul singer, and was a songwriter, arranger, producer who went on to own several record label. In 1967, he released Let Your Self Go as a single on the short-lived Whurley Burley label. On the B-Side was Call The Sheriff, which although is something of a novelty track was popular on the Northern Soul scene. 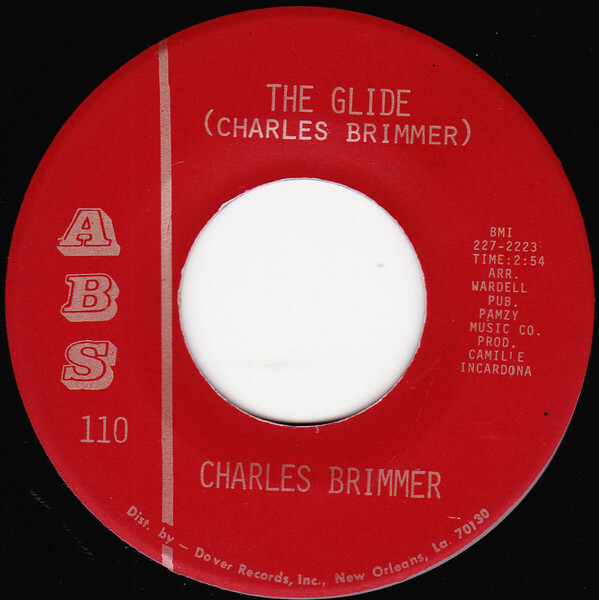 Charles Brimmer was born in New Orleans, and grew up in the lower ninth ward. Initially, he started off singing gospel, but like many young, aspiring singers crossed over and started singing R&B with The Ravens. Later, he embarked upon a solo career and released two singles on the ABS label, including The Glide which was produced by Wardell Quezergue. Although it wasn’t a hit single, it’s still a popular song that is played at soul nights in the Big Easy. In 1967, Booney Taylor released his composition I’m Lucky as a single on the Dynamic label which was based in Mississippi. On the B-Side of the single was another Booney Taylor song If You’re Gonna Love Me. This uptempo dancer was the stronger of the two tracks, and maybe if it had been released as a single might have given Booney Taylor a regional hit? Raymond Washington a.k.a. Guitar Ray released eight singles for various New Orleans’ labels between 1959 and 1968. This included Funky Pete which was one of his own compositions. It’s a funky, soulful and vampish track that sounds as if it’s been inspired by the self-styled Godfather of Funk James Brown. Tammy McKnight only released a trio of singles between 1963 and 1967. Her swan-song was the Leon D. Bonds composition Don’t Rub It In which was released on the Tune-Kel label in June 1967. Tucked away on the B-Side was Stop These Teardrops which was written by Leon D. Bonds and produced by Lynn’s Productions. It features an outpouring of emotion from Tammy McKnight on this hidden gem. When New Orleans’ based vocal group The Barons released Clap Your Little Hands as a single on the Etah label in 1967, I’ve Got A Feeling featured on the B-Side. This soulful stomper would later become a favourite on the UK Northern Soul scene, and has fifty-one years later, has stood the test of time. Curtis Johnson closes New Orleans Soul 1967 with I’ve Got To Get Away From You. It was the B-Side to If You Need Love which was released as a single in 1967. Hidden away on the B-Side was I’ve Got To Get Away From You a deep slice of Southern Soul where Curtis Johnson delivers a vocal full of sadness, hurt and heartbreak. It’s a powerful and poignant way to end New Orleans Soul 1967. The sixteen songs on New Orleans Soul 1967 are a tantalising taste of the soulful sounds being recorded and released in the Crescent City during ’67. That was the year of the Summer OF Love, when thousands of young people flocked to San Francisco to join the new counter-culture and listened to psychedelic music which was growing in popularity. Despite the popularity of psychedelic music, and some soul groups like The Temptations embracing and experimenting with psychedelic soul, the artists on New Orleans Soul 1967 eschewed this new sound. By then, Southern Soul’s star was in the ascendancy and was growing in popularity, and its influence can be heard on several tracks on this lovingly curated compilation. New Orleans Soul 1967 features singles and B-Sides and ballads and uptempo dance tracks, which are a reminder of the quality of music being recorded in the Big Easy. At the end of 1967, the New Orleans music industry was vibrant and thriving, with many small labels releasing singles by new and old artists. Some feature on New Orleans Soul 1967, and the owners of these labels had high hopes for their new labels and hoped that they would go from strength-to-strength. Sadly, that wasn’t the case and many label owners and artists were in for a rude awakening in 1968. What they hadn’t realised was that Cosimo Matassa’s distribution company Dover was teetering on the brink of insolvency. The success of Aaron Neville’s million selling single Tell It Like It Is was the lifeline that Dover needed, and the company limped on into 1968. However, in 1968 Dover was experiencing cash-flow problems the company became insolvent and closed its doors for the last time. The financial problems meant that Cosimo Matassa had no option to close the doors of Cosimo Recording Studio on Gov. Nichols Street. This was decimated the New Orleans’ music industry. Dover had distributed the majority of labels in New Orleans, and its insolvency resulted in many other local labels being forced to close their doors. The closure of Cosimo Recording Studio meant that the Big Easy no longer had a professional recording studio. It was a disaster for New Orleans, and the effects of the downfall of Cosimo Matassa’s musical empire were felt for several years. In 1969, Cosimo Matassa was declared bankrupt, and the architect of the New Orleans sound downfall was complete. By then, the New Orleans music industry was a shadow of its former self after losing its major distributor and only professional recording studio. this was a huge body blow to New Orleans which was one of America’s musical capitals. After a few years, the New Orleans music industry was rebuilt and started to recover. The last few years had been tough for the musicians, songwriters, arrangers and producers in the Crescent City after the demise of Cosimo Matassa’s musical empire. In many ways, 1967 was then end of an era for the New Orleans music industry which was thriving and vibrant and releasing quality soulful sounds. This landmark year is documented and celebrated on New Orleans Soul 1967 which was released for Record Store Day by the History Of Soul label as a limited edition of 500 and is a reminder of the glory days of Crescent City soul. ← TOM WAITS-THE HEART OF SATURDAY NIGHT.